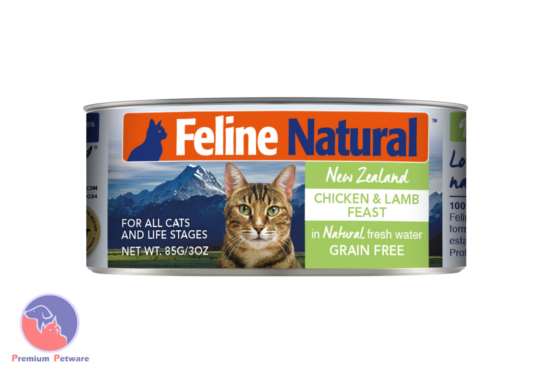 Feline Natural Premium Canned Cat Food contains all the goodness of our existing product ranges in a convenient, ready to use can. Our cans are FREE from all Gelling Agents, the only thing we add is Natural Fresh New Zealand Water. Simply pop the top and drop the contents out with ease and no mess.